Refurbished and pre-used ride-on equipment. Ex-contract 12 month old ride-on machines. Machines may be hired or purchased. 24 months warranty on new equipment. 12 months warranty on pre-used units. 3 services free with purchase price. All consumables free for 12 months. Free loan unit in the event of breakdown. Floor Care 24/7offer a wide range of Ride On / Rider Operated Scrubber Dryer machines for Hire or Sale. Sourcing our ride on floor cleaners from multiple manufacturers means that we have all options covered for your every floor cleaning requirement. 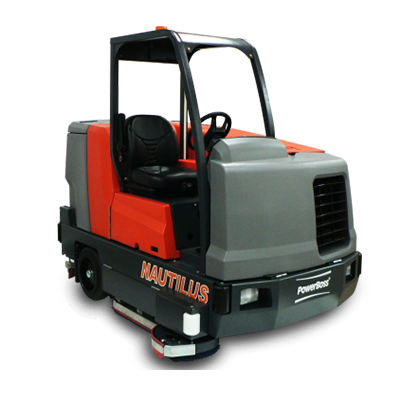 We can supply ride on scrubber dryers with automatic traction and the capability to efficiently clean areas of 3000 sq. metres and upwards. We also have models furnished with ECO modes to conserve energy consumption when the cleaners are idling. Our largest hire models are suitable for floor cleaning large spaces such as airports, car parks, warehouse, factories and railway stations.